This year’s Tops in Trucks Fleet Design Contest winners perfectly illustrate what it means to a lasting impression. Fleet vehicles are the main — if not only — investment many contractors make in marketing. It’s an important line item in the budget to leave to chance, and smart contractors know how to make the most of their rolling billboards. It should go without saying, your fleet needs to quickly stand out. You have between four and 10 seconds to convey your message to other drivers. On the flip side, you want your vehicles to make a lasting impression when parked in a customer’s driveway or parking lot. Over the years, more and more contractors are investing in creative, eye-catching designs to set their fleets apart from the competition, which consistently elevates the quality of entries in our annual Tops in Trucks Fleet Design Contest. illustrate what it means to leave an impression. When it comes time to rebrand your company, many smart contractors start with their most visible asset — their trucks — and go from there. Because of the mobility of the vans, Mericle and his team felt it was a great way to get the new design out in front of the public’s eyes. Hurlburt first began unveiling the design on its vans in April 2016, and currently have five newly wrapped vehicles with plans to upgrade the entire fleet. While some contractors might be hesitant with the price tag associated with designing and wrapping their fleet, Mericle didn’t blink. He believes its money well spent. 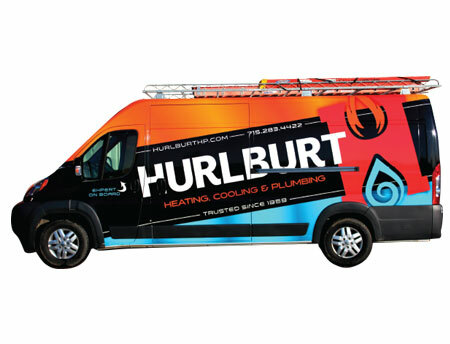 Hurlburt’s bold design helps set them apart from their competitors and they gain new customers every day who site the company’s vans as a reason for calling. “Our customers love the new design and I’m pretty sure they’d be willing to pay more just to have one of our vans parked in their driveway,” Mericle says. “Our employees are incredibly proud of the new design too. Mericle initially hired a design firm who presented several concepts, none of which possessed the elements he was after. Finally, he enlisted the help of the graphics team at Service Nation Alliance. The resulting graphics feature bold, contrasting colors that stand out from other vehicles on the road, centered on the company’s iconic “H” logo. If given the chance to start over with the design, Mericle says he wouldn’t change a thing. Contractors who have been around for a while know the importance of name recognition and, when you’re designing a new look for your fleet, you don’t want to lose that brand equity. 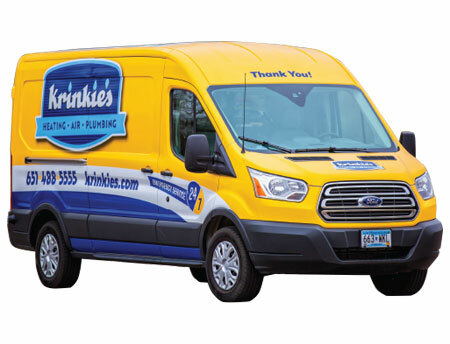 Having recently ended a 10-year term with a national franchisor, Krinkie’s was faced with a branding challenge of balancing the old with the new … without losing who they were. With a complete rebranding, Madison knew it wasn’t going to be cheap. Instead of rolling out the new design on a couple of vehicles and slowing incorporating it as new vehicles were purchased, Krinkie’s needed to do it all at once. Madison says the technician’s take pride in keeping their vehicles clean and neat and, when they stop for lunch, they park near a busy intersection just to make sure the trucks are seen. The most important part of the design, Madison says, was actually the idea of the owner himself, Bruce Krinkie. They settled on making it so you can read it looking at the van — it’s the first thing Krinkie’s clients see when they watch the truck pull up to their home, and the last thing they see when they watch the technician get back in the truck to leave. 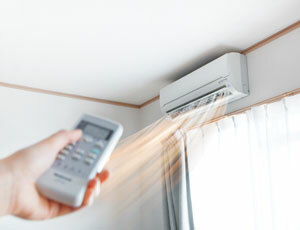 Tin Man Heating & Cooling, Inc. When your company already has an interesting name and a unique logo, designing a vehicle wrap around it can be a difficult task. Instead, Zuhlsdorf offered some opinions on how to design the wrap around his iconic Tin Man logo. After some back and forth, they hit jackpot with innovative and memorable graphics. 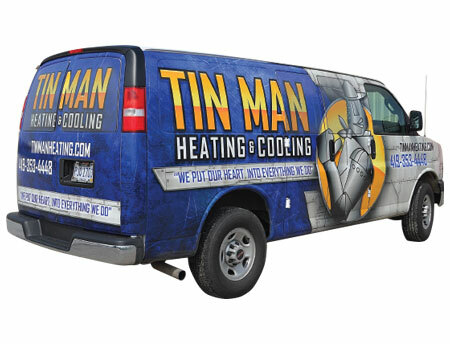 Tin Man is still in the early stages of its rebranding effort — with one van wrapped in the new design, one currently being wrapped and one more set to be wrapped this Spring. Prior to this, the company’s only branding campaign was its Tin Man logo, which was also the only graphic on the side of its white vans. Zuhlsdorf says he’s heard from customers who think the new look is creative and unique, and his technicians are looking forward to getting new vehicles so they can show off the bold design. “We’re a small company making a big impact in our area with forward thinking,” Zuhlsdorf says. 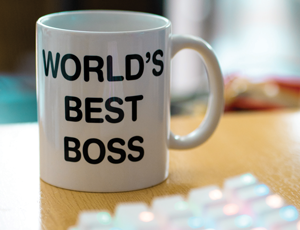 “We grew nearly 37 percent last year with 15.6 percent profit — if I could start all over again, I’d have wrapped my fleet a lot sooner than I did. Simplicity is the key to an outstanding vehicle design — you have to get your message across without cluttering up the side of the van with too much copy. Tunnell started the same place most companies do — with the logo and his favorite color. Tunnell says he already had a basic idea of what he wanted the vans to look like, but turned to a creative firm to help translate it to a working design. It’s professional, simple yet bold, clean and powerful. Dominion’s design is bold enough to catch the eye of prospective customers, while the cleanliness and professionalism of it instills confidence in the minds of employees and existing customers. Keeping your fleet looking its best is certainly an investment. And, the larger the fleet, the more expensive it can be to wrap new vehicles year after year. When Robert Hutchison, the designer with whom Tunnell had been working, was looking to go off on his own, Tunnell crunched the numbers. The result was Six-Eight Creative, a custom vinyl graphics shop owned and operated by Dominion Service Company. When you’re a start-up company, everything you do is from scratch — including your fleet graphics and company branding. Sometimes, that can be a challenge. The beauty of it is, you can do whatever you want. 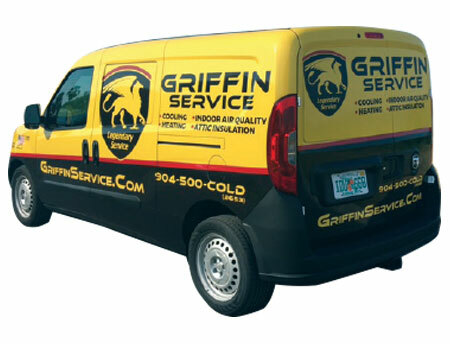 The yellow and black design, with a touch of red, Griffin settled on was no accident. 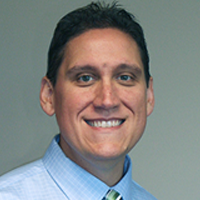 Taylor and Tom Casey, chief quality officer, did extensive market research. “We took pictures of every work van and truck we’d see in our area and put them on a poster board in the office,” Taylor says. Although their fleet is small (for now), it leaves a lasting impression. The company receives comments all the time from people saying they see their trucks everywhere and they can’t miss them. Nine years ago, one of the Tops in Trucks Fleet Design Contest runners up was a bright blue truck with snowflakes and a red ribbon running through the Vanderford Mechanical logo. 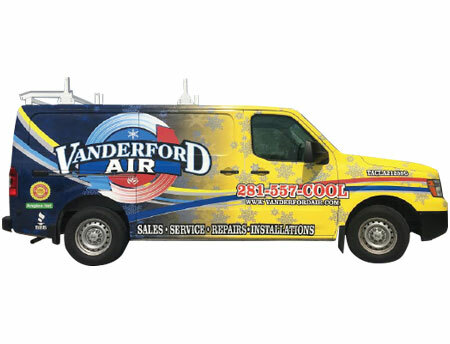 This year, rebranded as Vanderford Air, the updated design is yet again among the best. Vanderford originally came up with the design in 2006, and has made tweaks and improvements through the years. Recently, the company changed the name from Vanderford Mechanical to Vanderford Air, due to confusion on what services we provided. Vanderford says his employees love driving the vehicles, which he believes adds another level of professionalism to their job. “Professionally identified vehicles and professionally identified work uniforms help portray the expectation of professionalism that customers deserve,” he says. Like in many areas of your business, you grow and make changes for the better. Many contractors use their fleet as the primary marketing initiative, but when you have more than 100 vehicles on the road — each with a unique design — you’re really making a statement. Many of the trucks in Aztil’s fleet feature specific themes. So, when there’s a community event, Aztil sends a truck that ties in nicely. 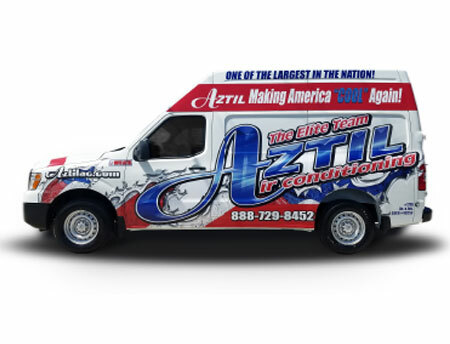 Whether it’s a holiday, a season or simply patriotic (such as the company’s voting themed truck), Aztil has a truck to fit. The excitement from his customer base is what motivates Aztil to continue to take its designs to a higher level. That excitement is also reflected in the pride, attitude and workmanship of the company’s employees. 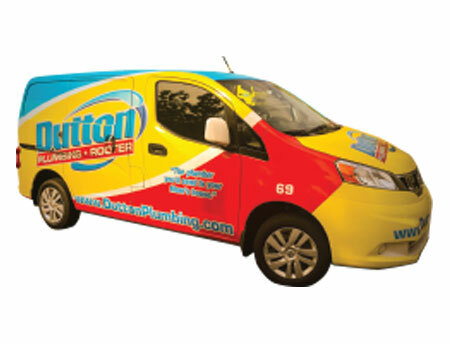 Like most companies, Dutton Plumbing’s trucks were basic white with a blue and red logo on the side. Nothing special and nothing memorable about them. Initially, Dutton contemplated going with high-visibility safety yellow, but nixed it when he saw that it clashed with the company logo. 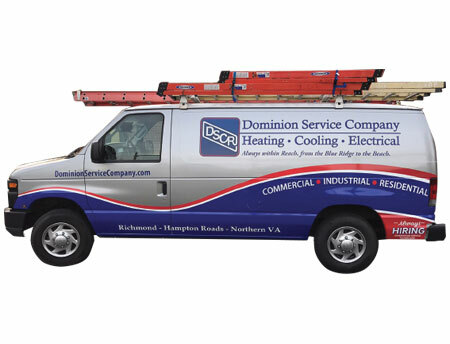 Another element of the design on some vehicles that elicits happiness is the image of puppies, as well as the catchy company slogan: The plumber you’d send to your mom’s house. The response from customers was so great, Dutton added puppies to another truck and have begun giving away stuffed puppies at different community events. From the puppies to the bright colors to the slogan, everything Dutton does comes across as fun. And that’s exactly the kind of company he’s created for his employees and customers. To download an entry form for the 2018 Tops in Trucks Fleet Design Contest, visit hvacrbusiness.com/topsintrucks.